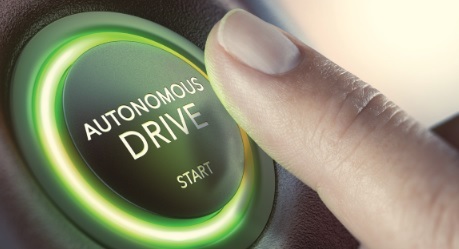 The era of the autonomous vehicle is upon us: recent analysis from Allied Market Research forecasted that the global market for autonomous vehicles will reach $54 billion this year, and will balloon to more than 10 times that size — $556 billion — by 2026. However, heavy investment doesn't always translate to market traction, and autonomous vehicles face a major obstacle: drivers are extremely wary of them. As evidence, a 2018 study released by the AAA found that 73 percent of American drivers would be too afraid to ride in a fully self-driving vehicle, and 63 percent would actually feel less safe sharing the road with a self-driving vehicle while walking or riding a bicycle. And the general public's skepticism of the safety (or lack thereof) of autonomous vehicles was reinforced last March, when an autonomous car operated by Uber struck and killed a pedestrian in Arizona. The onus is on automotive manufacturers, then, to steer consumers towards trusting self-driving vehicles — but considering the above statistics, that may be no easy feat. As a result, auto manufacturers are taking an approach that the industry knows well: rigorous testing based on AI-powered simulations, to a degree that seems extreme even for the highly regulated automotive industry. But an expansive testing program presents a new set of technology challenges, all the way down to the infrastructure layer. Autonomous vehicles depend on advanced driver-assistance systems (ADAS), which help the vehicle execute several functions, including braking automatically in emergencies, changing lanes when needed, parallel parking, etc. Behind the vehicle's ADAS is a control unit that determines the level of automation, which may vary from level 0 (no automation) to level 5 (full automation) — and building a control unit as advanced as this requires capturing and processing millions of kilometers of driving data. Typically, this data is ingested in massive quantities by a scale-out network attached storage (NAS) platform for analysis and simulation-building. As a result, the success of these AI-powered autonomous vehicle testing programs is directly correlated to the number of simulations that can be processed. Unfortunately, ensuring the performance, reliability and scalability of mission-critical clustered NAS storage systems is a major challenge for any organization. Therefore, autonomous vehicle testing techniques such as Hardware-in-the-Loop (HiL) simulations, which require high-performance NAS storage, will be vulnerable to any issues affecting the NAS system. This means that assuring the performance and availability of the underlying IT infrastructure — including the NAS system — is arguably the most important contributing factor to the success of autonomous vehicle testing programs. Every second spent on identifying and troubleshooting IT infrastructure issues is a sunk cost, resulting in the loss of invaluable testing time. And time is of the essence, given the massive volume of simulations that need to be executed. In order to proactively eliminate any potential IT infrastructure slowdowns and outages to ensure that simulation performance runs at optimum levels, auto manufacturers need robust monitoring tools. While vendor-specific monitoring tools would be the default solution, they're often deployed in a siloed fashion, which only delivers fragmented visibility — resulting in an incomplete view of the health, utilization, capacity and performance of the underlying infrastructure. Conversely, application-centric infrastructure performance management (IPM) platforms are able to perform non-disruptive, agentless data collection, and analyze the results of actual production workload behavior. Using this approach, auto manufacturers' IT teams can holistically monitor, analyze and optimize the health, utilization, capacity and performance of their IT infrastructure within the context of the application. Taking it a step further, IPM platforms can intelligently deliver data-driven simulations to make recommendations to improve the performance and availability of the environment. In addition, infrastructure bottlenecks resulting from misconfiguration or increased demand can be quickly eliminated — allowing for more simulations to meet manufacturers' aggressive timeframes. By gaining access to these IT infrastructure monitoring capabilities, auto manufacturers' IT teams will be able to extricate themselves from reacting to infrastructure issues and instead focus on the core objective at hand: increasing the efficiency of simulation testing to meet strict deadlines. So, while drivers will never know it, IT infrastructure will play a huge role in determining the fate of autonomous vehicles.